Originally from Salzburg, Austria, Petra gave up a career in Music and Art to teach watersports. Having done so for the last 19 years (including working for ABK Board Sports and a number of shops on the East Coast) she is still focusing on getting women involved and into the liquid element. Having added Stand Up Paddle boarding and Yoga to her repertoire has helped with that goal. Johnny Rodz. has been surfing for little over a decade. 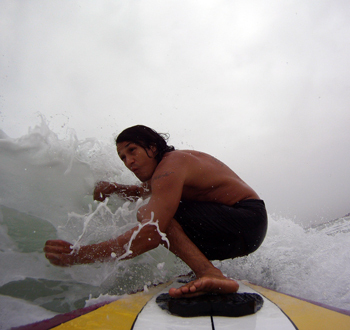 As a grommet Johnny surfed from South Padre Island, Texas. All the way down the Mexican Pacific Coast. 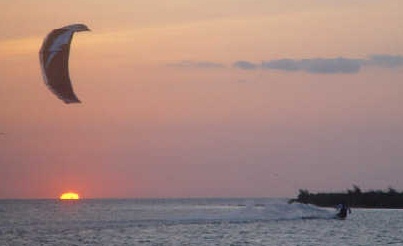 He spent most of his time at a world-class break in Puerto Escondido, Oaxaca Mexico "Mexican Pipeline". After paying some dues breaking some boards, Johnny moved to Austin, Texas. In Austin he united with his cousin Boo Boo and began to rock climb later becoming a rock-climbing instructor at Pure Austin Gym. So blah, blah, blah, yada, yada. He's back in Isla de Padre on the attack, slashing any water he can get his dirty little feet on. If your in S. Padre go with Air Padre and learn how to surf with Johnny. 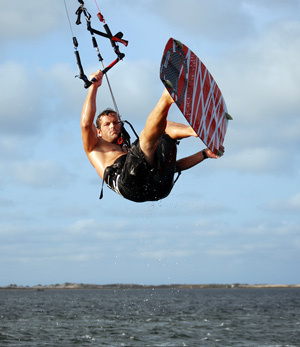 Erik has taught kiteboarding for more than 2,000 hours to more than 400 people. 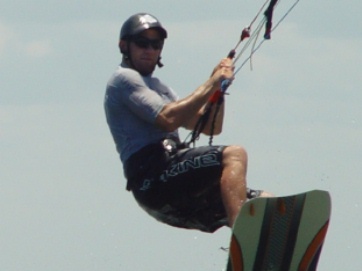 Erik is certified as a kiteboarding coach and instructor from three different certifying, teaching entities, IKO(International Kiteboarding Organization), PASA(Professional Air Sport Association), and REAL(Real Kiteboarding). T. J. 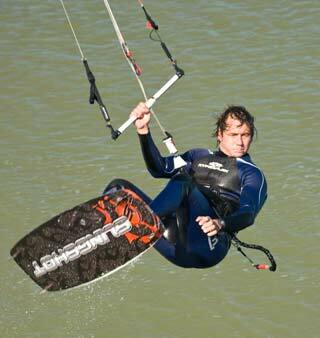 's passion for wind & water began when he moved to the Columbia River Gorge in 2001. 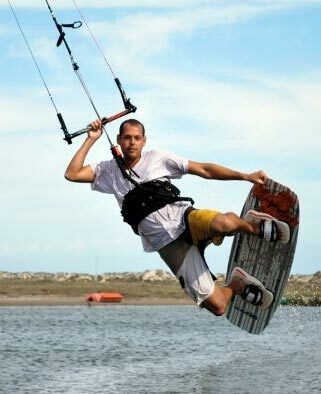 Having instructed white water kayaking for 7 years in Colorado, his focus soon changed when he first witnessed kiteboarding the Hood River, Oregon in 2002. 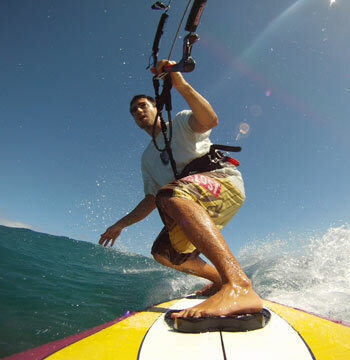 "I got a job w/ a kiteboarding company that year, and 2 years later obtained my PASA certification. 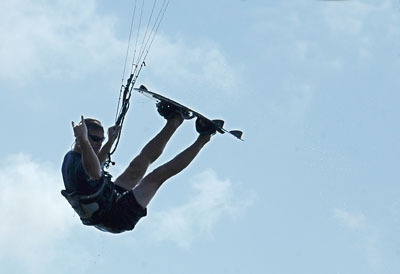 I love teaching, and kiteboarding truly pays off when you share the stoke in your student's experience." Currently teaching on South Padre Island in the Fall/Spring, La Ventana Baja, Mexico in the winter, and the Gorge in the Summer, T. J. 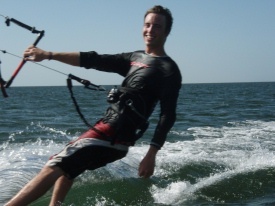 's love for teaching fuels his passion for kiteboarding. Background: Picnics and chain saws, what else can you do in the woods? Origin: Born in Oregon. Webbed feet, good for water sports. Resides: Rio Grande Valley, Deep South Texas "It's like a whole other country." Background: When Scott was a younger man he set out for adventures in far away lands including Fiji, New Zealand, Australia, Indonesia, Singapore, Malaysia, Thailand, Burma (Myanmar), Nepal, UAE, Germany, France, Hungary, Belgium, and United Kingdom. He went rap jumping, cave rafting, scuba diving, hitch hiking, glacier climbing, among other things in NZ. 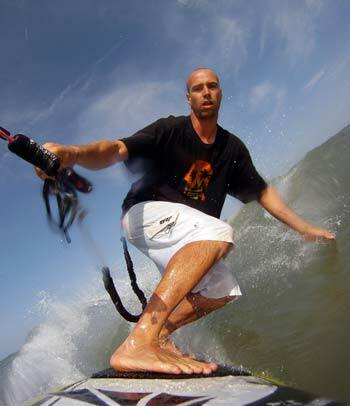 He drove Australia coast to coast in a car and learned to surf, drink beer, and scuba dive the great barrier reef. He experienced the exotic wonders of the Indonesian islands of Bali, Lombok, Surabaya, Sumbawa, Kimodo, Sulawesi, Java, Flores, and Timor. He also traveled the Malaysian Peninsula into Thailand with stops along the way including the island of Ko-Pa-Ngan in the Gulf of Thailand to experience one of the fabled "full moon parties". More adventures awaited Scott in Burma where he was actually accosted by a band of traveling transvestites entertaining the inhabitants of a small town in the middle of the country where travel by foreigners was discouraged by the government at the time. Ask him about it sometime, 100% true story. 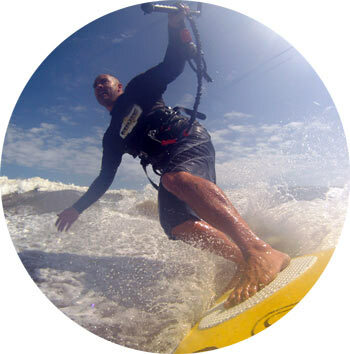 Many and varied interests including all the usual outdoor activities: hunting, fishing, scuba diving, boating, water skiing, snow skiing, surfing, wind surfing, hiking, biking, mowing the lawn, and of course kiteboarding. Other interests include raising two children, keeping the wife of 15 years happy, and enjoying life as much as possible, with permission from the boss. 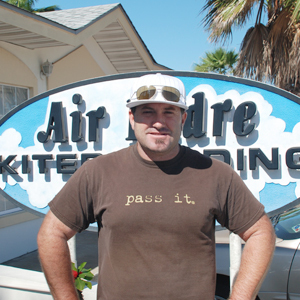 Teran owns Island Fitness right across the street from Air Padre Kiteboarding. 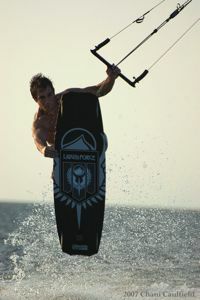 He has been teaching kiteboarding and windsurfing for years. If you get a chance to see him ride you'll know why he's on the team. As one of the best riders on the island, his smooth style is inspiring. Super Rob has been riding since the beginning. He is retro-core all the way. 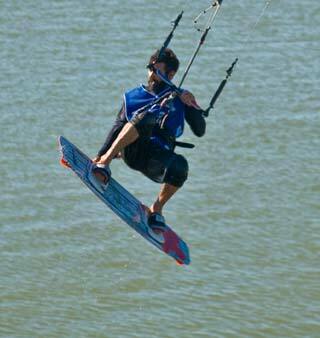 He rides a pulley bar, not the kind you get with a bow kite. We are talking the old school flavor. Anyone who has tried a classic pulley bar can understand the difficulty involved with no chicken loop. If you ever have the pleasure of meeting Rob or seeing him ride you'll understand why has is on the team.